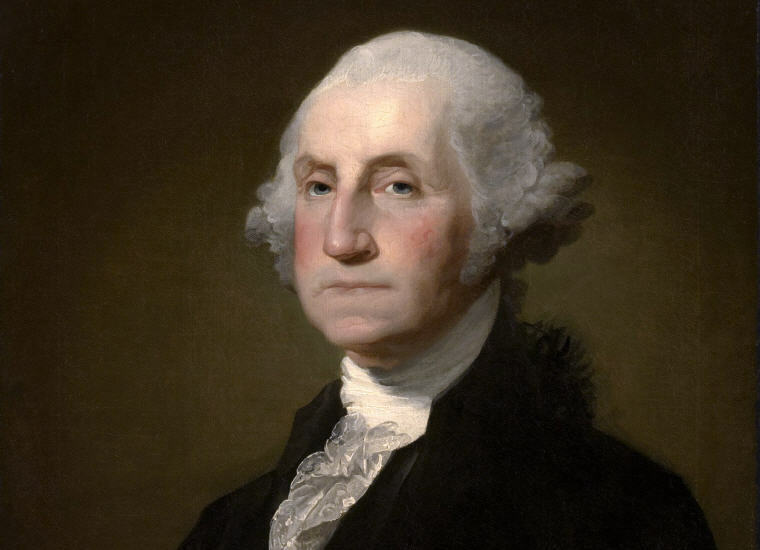 Excerpt from Wikipedia: George Washington (February 22, 1732 – December 14, 1799) was the commander of the Continental Army in the American Revolutionary War (1775–1783) and served as the first President of the United States of America (1789–1797). For his central role in the formation of the United States, he is often referred to as the father of his country. 2. Be courteous to all, but intimate with few, and let those few be well tried before you give them your confidence; true friendship is a plant of slow growth, and must undergo and withstand the shocks of adversity before it is entitled to the appellation. 3. It is easy to make acquaintances, but very difficult to shake them off, however irksome and unprofitable they are found, after we have once committed ourselves to them. 4. Let your heart feel for the afflictions and distress of every one, and let your hand give in proportion to your purse, remembering always the estimation of the widow’s mite, that it is not everyone that asketh that deserveth charity; all, however, are worthy of the inquiry, or the deserving may suffer. 5. Do not conceive that fine Clothes make fine Men, any more than fine feathers make fine Birds—A plain genteel dress is more admired and obtains more credit than lace & embroidery in the Eyes of the judicious and sensible. 6. Discipline is the soul of an army. It makes small numbers formidable; procures success to the weak and esteem to all. 7. Light reading (by this, I mean books of little importance) may amuse for the moment, but leaves nothing solid behind. 8. We ought not to look back, unless it is to derive useful lessons from past errors, and for the purpose of profiting by dear bought experience. 9. …for happiness depends more upon the internal frame of a person’s own mind, than on the externals in the world. 10. Nothing can be more hurtful to the service, than the neglect of discipline, for that discipline, more than numbers, gives one army the superiority over another. 11. There is no practice more dangerous than that of borrowing money. 12. For if Men are to be precluded from offering their Sentiments on a matter, which may involve the most serious and alarming consequences, that can invite the consideration of Mankind, reason is of no use to us; the freedom of Speech may be taken away, and, dumb and silent we may be led, like sheep, to the Slaughter. 13. But lest some unlucky event should happen unfavorable to my reputation, I beg it may be remembered by every gentleman in the room that I this day declare with the utmost sincerity, I do not think myself equal to the command I am honored with. 14. My first wish is to see this plague to mankind [war] banished from off the Earth, and the sons and daughters of this world employed in more pleasing and innocent amusements than in preparing implements and exercising them for the destruction of mankind; rather than quarrel about territory—let the poor, the needy and oppressed of the earth and those who want land resort to the fertile plains of our western country, the second land of Promise, and there dwell in peace, fulfilling the first and great commandment. 15. …truth will ultimately prevail where pains is taken to bring it to light. 16. I can only say that there is not a man living, who wishes more sincerely than I do to see a plan adopted for the abolition of it (slavery;) but there is only one proper and effectual mode by which it can be accomplished, and that is by legislative authority; and this, as far as my suffrage will go, shall never be wanting. 17. The satisfaction arising from the indulgent opinion entertained by the American People of my conduct, will, I trust, be some security for preventing me from doing any thing, which might justly incur the forfeiture of that opinion. And the consideration that human happiness and moral duty are inseparably connected, will always continue to prompt me to promote the progress of the former, by inculcating the practice of the latter. 18. Every post is honorable in which a man can serve his country. 19. Observe good faith and justice towards all Nations; cultivate peace and harmony with all. 20. I hold the maxim no less applicable to public than to private affairs, that honesty is always the best policy. 21. It is better to offer no excuse than a bad one. 22. Rise early, that by habit it may become familiar, agreeable, healthy, and profitable. It may, for a while, be irksome to do this, but that will wear off; and the practice will produce a rich harvest forever thereafter; whether in public or private walks of life. 23. My manner of living is plain. I do not mean to be put out of it. A glass of wine and a bit of mutton are always ready; and such as will be content to partake of them are always welcome. Those, who expect more, will be disappointed, but no change will be effected by it. 1. Associate yourself with Men of good Quality if you Esteem your own Reputation; for ’tis better to be alone than in bad Company.